Born in 1772 near Bremerhaven in the Kingdom of Hanover, Isaiah Moses moved to England in the early 1790s. Upon his first wife’s death, he came to America with his brother Levi. 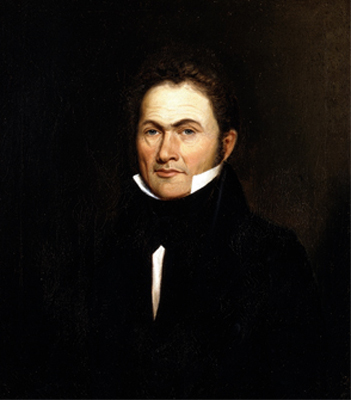 In 1807, at age 35, he married 15-year-old Rebecca Phillips. Between 1801 and 1813, Isaiah progressed from “grocer” to “shopkeeper” to “planter.” Seven years after marrying Rebecca, he paid six thousand dollars for 794 acres of land in Goose Creek. The place was called The Oaks, and for 28 years the Moseses cultivated rice, putting as many as 35 “hands” into the fields to grow the grain known as “Carolina gold.” For some if not all of this time, the family kept a house and business in town. In 1841, Moses sold the plantation at a loss, to satisfy a debt to Kahal Kadosh Beth Elohim’s charity fund. When the bitter struggle over religious reform went into the courts and the reformers won control of the synagogue, Moses and other traditionalists joined the break-away congregation Shearit Israel. The sons of his first marriage were among the first Jewish settlers of Cincinnati. 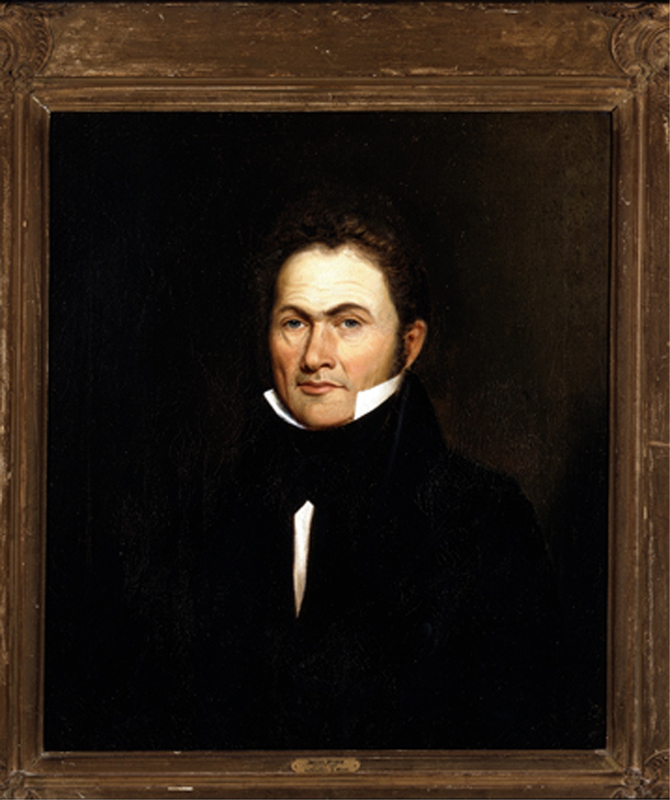 Isaiah Moses’s portrait is undated, but the style of his collar and cravat suggests the painting was made in the 1830s, when the artist Theodore Sidney Moïse was in his 20s and Moses about 60 years old.